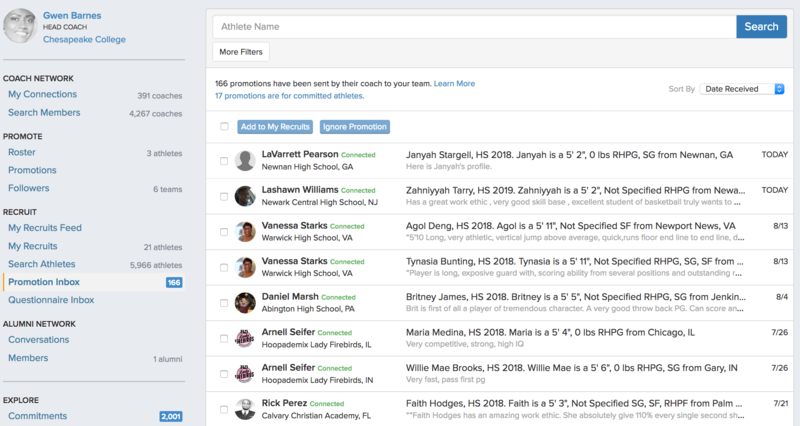 As you connect with coaches, you will begin receiving Athlete Promotions from the coaches in your network. You can view information on these athletes and start a dialogue with the coaches who send them to you. For athletes you like and want to keep track of, you can add them to your My Recruits list to receive updates on their progress. 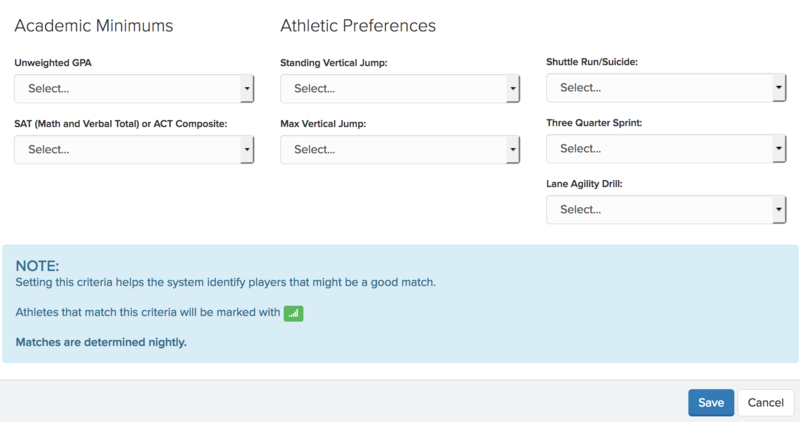 Setting your criteria also helps us match you with recruits and provide you suggestions of athletes based on how coaches assess and project their players.